TASIAW: Hello, it was All Yellow! Yellow is the brightest of all colors, and this yellow outfit always brings a brighter day to me. 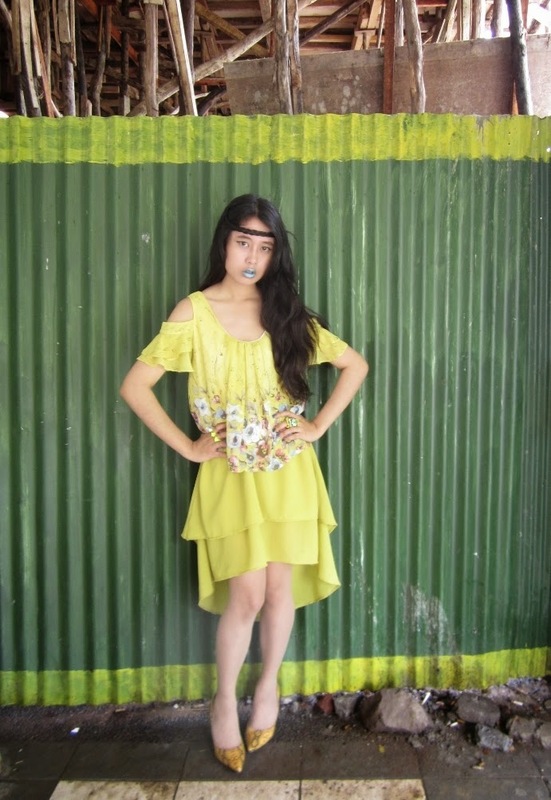 This outfit is my mom's DIY project which reminds me of lemonade to freshen up the hot days, love it. 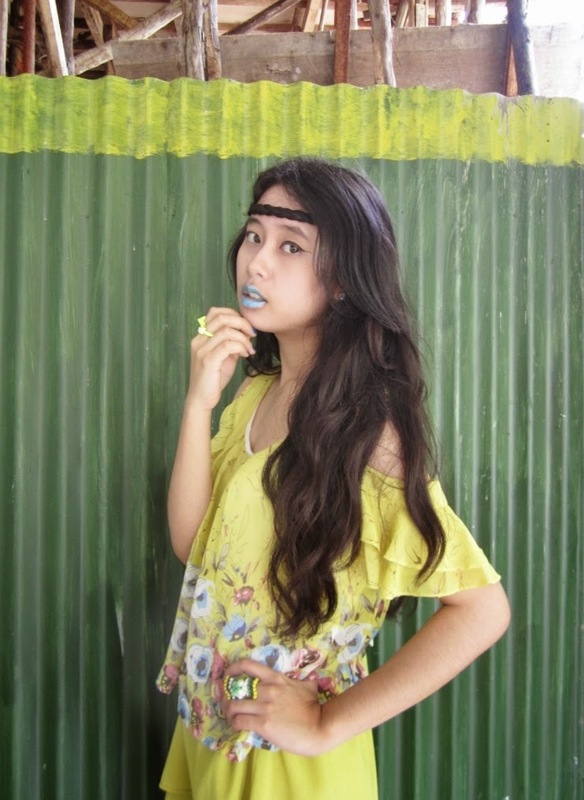 Here I featured blue as an unconventional, eye-popping lip color so I toned other aspects of my make up down. For hair, I braided my bangs until reach my ear, and finished it with a bobby pin behind it. 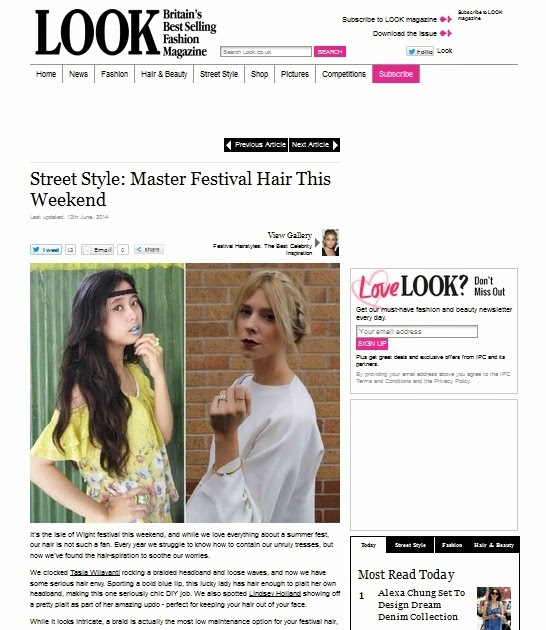 Never expected before, that my simple braid headband could be featured in Look.co.uk as one of those adorable hairstyle inspirations for this summer, I'm blushing!